With the hustle and bustle of spring tillage and planting behind us, we talked to a few of our SoilWarrior customers across the country to find out how things are shaping up in the field. A 13-year strip-till farmer from Palmer, Nebraska, Mike Thede has been using a SoilWarrior on his corn and soybean operation for 6 years. He tells us about his fall tillage practices, his recent trial with cover crops, strip-till challenges unique to sandy soils, and his secrets to strip-tillage success. Q: What did you do for fall strip-tillage? A: I used to do strip-tillage in the fall but went away from it. I haven’t done it for 2-3 years now. I still have a few fields that are furrow irrigated, so I run the SoilWarrior down the top of the ridges. I have to run a stalk chopper ahead of it. I sidedress nitrogen when the corn is knee-high on ridge-tilled fields. Otherwise I run fertilizer through the pivots on the rest of the acres because we need to run water anyway. 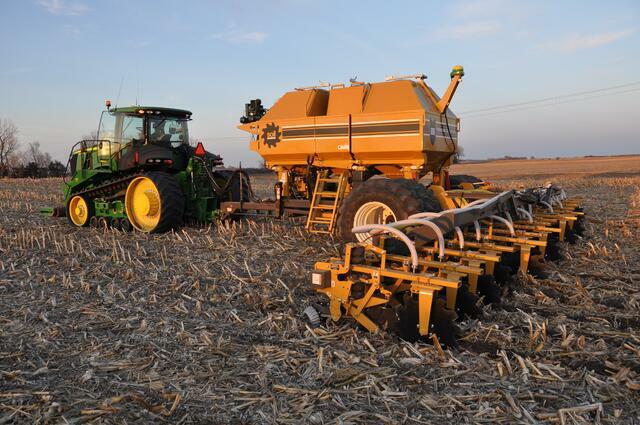 Q: What is your tillage plan in the spring? A: I do beans no-tilled into corn stubble with a rye cover crop on the bean ground. I have sandy soils that lose organic matter when we plant soybeans. This year I ran the SoilWarrior through rye that was either sprayed dead or going to be sprayed and applied nitrogen, phosphate, potash, K-Mag, and sulfur. I use a slow-release encapsulated urea for my nitrogen. 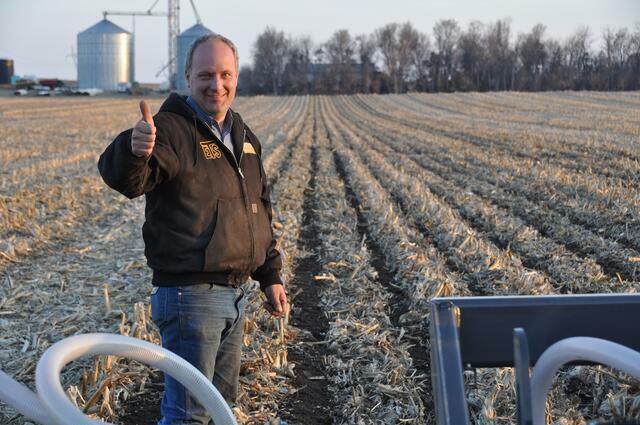 Q: Did you try anything new this spring with your strip-tillage? A: My rye cover crop was new this year. Soybeans don’t produce enough organic matter, so that’s why we added a cover crop. This was the first year we had a lot of rye. It is a lot more aggressive than wheat. I will continue to integrate the rye cover crop in the future. Q: What challenges have you seen from strip-tillage? A: I was one of the first people trying to run the SoilWarrior on sandy soils. At first, I couldn’t get the residue to mix with the sand. The residue was so light, so I couldn’t see the machine really doing anything. We have to do a lot more to move the residue out of the way on sandy soils. In heavier soils you can see the strips out there because the residue gets incorporated into the soil. So, we put row cleaners on the SoilWarrior. It seems like it’s easier to get residue out of the way if it is packed down a bit. If you could run the machine on the sand when it’s drizzling or raining it actually works really well. We go to the field a little sooner in the sand after a rain than on other soils. Q: What is your secret to success with strip-tillage? A: For our sandy soils, once I was able to run a strip-till machine that could put dry fertilizer on it was a huge improvement to our system. I’ve been using the SoilWarrior for 6 years. It helps us tailor the exact fertility needs of each field separately. Other machines seemed like just a tillage system that happened to put a little fertilizer on too. There was no way to variable rate with those other machines. I like the ability to variable rate fertilizer and put on my full needs for the year. Q: Tell me about your decision to do strip-tillage. A: I think there are a lot of farmers that simply just look at tillage and don’t look at it as a whole system. I was looking for a way to reduce trips across the field. We were always out there doing fieldwork. At one time we had four 16-row cultivators trying to get over every acre twice in the month of June. Could I just eliminate all those passes? We went from 7 passes to 4 or 5. 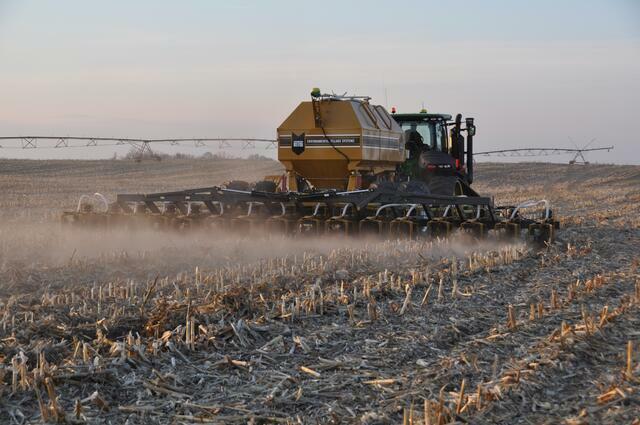 Are you ready to see SoilWarrior row units in action on your farm? Contact us today for a demo.